The chronicles of the foreign travellers like Al Biruni, Abu Zayad and Marco Polo contain ample mention of the virgin green. Lakshadweep islands lie along the coast of Kerala. The earliest testament to the history of Lakshadweep is the Vaylur inscription that refers to Narasimha Varman II's conquest of these islands. Raja Rajendra Chola, one of the greatest Chola monarchs too took over the islands and added them to his burgeoning territory. Apart from the powerful ancient Indian monarchs, foreigners too arrived in the picturesque and isolated islands and tried to add the islands and thereby augment their territory. The islands were apparently thoroughly explored by the British. However the first foreigner to set foot on the shores of Lakshadweep was none other than the legendary Vasco da Gama. The Portuguese invasion gave way to two significant episodes in the history of Lakshadweep. Firstly, the islands became a noted hub of maritime trade. Secondly, the years of plunder, pillage, oppression and tyranny that would be a hallmark of the island's history ensued. The British Era in Lakshadweep saw the introduction of the Lakshadweep Regulation in the year 1912 that reduced the judicial authority of the Amins or the local Chieftains of the islands. The islands were returned to the Indian subcontinent in 1947, following India's independence. The States reorganization Act, 1956 led to the eventual formation of Lakshadweep into a union territory. The Third Anglo-Mysore War marked a milestone in the history of Lakshadweep. The war commenced between the years 1789-1792 in South India. The bone of contention between the two parties namely the Tipu Sultan's kingdom of Mysore and the British was the princely state of Travancore. Tipu Sultan, an ally of the French government had invaded Travancore, a part of the British Empire in India in the year 1789. This led to a tumultuous battle that lasted for three gruelling years and a horrifying defeat for Mysore. Tipu Sultan, who had depended heavily on the French aid, was disappointed when the French could not provide sufficient assistance owing to the ongoing French Revolution. 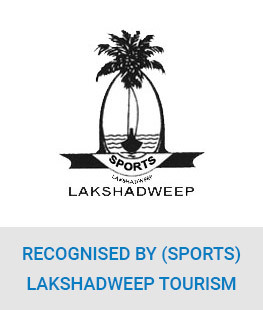 The present status of Lakshadweep islands as a union territory belonging to the government of India was achieved following the States Reorganization Act of 1956. The erstwhile Laccadive Islands that had an illustrious history of being ruled by former ancient Indian monarchs and the formidable Bibi empresses were also a part of the Portuguese and British colony in India. The British regime in India proved to be the turning point in the history of Lakshadweep that changed the fate of the archipelago of 36 islands. After the disastrous consequences of the third Anglo Mysore War, the control and jurisdiction of the Laccadive Islands of Minicoy and Amindivi passed onto the hands of the British. The Amindivi Islands were added to the South Canara District of Madras Presidency while the others became a part of the erstwhile Malabar District. 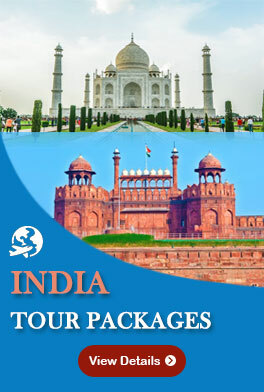 After India earned its much-desired independence in 1947, the Lakshadweep islands were returned back to her territory. Then in the year 1956, in accordance with the promulgation of the States Reorganization Act the islets and atolls were all combined to collectively form a union territory.